lol just bought it and i think its great! Anonymous, 06 Dec 2010is it can upgrade to froyo?....some of them say that it only up to eclair only...yes,,it can be..may be in 2011 q2.. 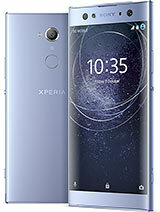 I have 1 xperia x8. I buy on november and the gadget is runing good until now. For review x8 have a good quality speaker. I very happy with xperia x8. For some country x8 has been updated to v2.1(eclair). Yash, 06 Dec 2010It means we had same problem in yari -network signal Now I can say that x8 is way better than... moreyes...x8 is far better than yari with few limitations.. Anonymous, 06 Dec 2010im planning to buy a phone..which one is better se aino or x8? aino is better but x8 is cooler and have an excellent os. If you care about good looking phone and good camera go aino, if you want a phone that is more fun and has a lot of games and apps go with x8. im planning to buy a phone..which one is better se aino or x8? Is anyone here have experienced after connecting their phone (X8) to PC, the phone heats up? Yash, 05 Dec 2010Thanx dear But yari has two stereo speaker then x8 has better sound amazing I cant believe it... morei sold yari due to network issue..
pls advice anybody having heat problem with this phone? i was looking forward to buying x8. so wanted to confirm that is there any wifi problem in x8 after android 2.1 update? ?pls reply. X8 better looking, battery, and faster. I say go x8 ! Please reply guys.... THank You! xperia, 05 Dec 2010can you download opera mini(free browser in d philippines) in xpera x8?pls reply and tia.yes from.android store.